​The Theodore Judah PTA Welcomes You! 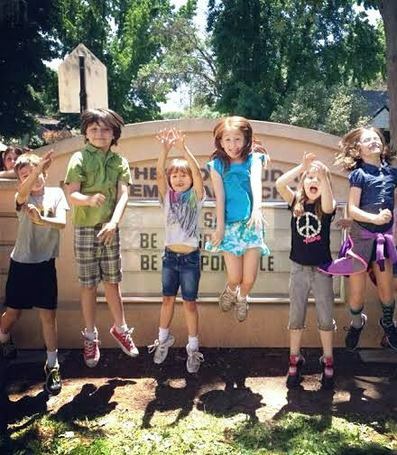 The Theodore Judah Elementary School PTA funds 100% of your child's Art, Music, Garden & Science Alive! instruction. ​Our paid Alive! program coordinators facilitate in-class instruction (led by volunteer parent docents), curriculum development, art and science supplies, hands-on garden lessons, that build upon our school's core instructional programs. You are important - and your skills, love, voice and donations are always needed to help our neighborhood school thrive. Please contact us! Join Our Email Newsletter List to get the latest school updates. Like Us on Facebook for the most recent school updates. 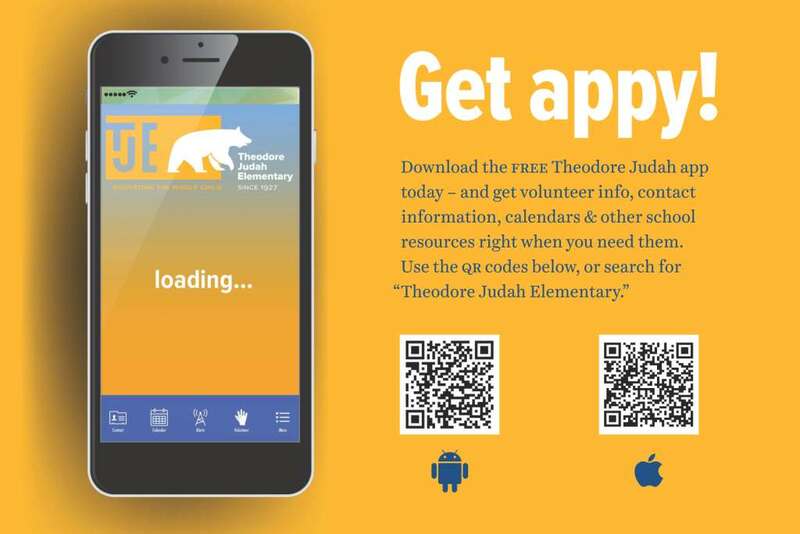 Download the "Theodore Judah Elementary" app in your app store.